Happy couples want their wedding to be a reflection of their personalities coming together. They also want their friends to be comfortable at this most joyous occasion. For couples that vape, what could be more perfect than a vape-themed wedding! At VaporFi, we’ve prepared this handy Vape Wedding Guide to give you some great ideas for your perfect vape-themed wedding. Make your wedding a dazzling escape into a world of ever changing shapes and scents. Decorate your wedding venue with dark backdrops that show off your vapor clouds in stark contrast. For those who are enjoying alternative vapes, add a few cannabis buds to your centerpieces and boutonnieres. You can even place tabletop vapes at the center of your tables to make them accessible to your guests. Give your wedding a sleek, modern look by integrating the Rebel 3 in black and silver with matching black and silver decor throughout the room. If you have a favorite flavor of e-liquid, consider choosing a theme based around that flavor to style your wedding. A tropical beach is just one excellent choice. Everybody knows that the bar is where the real socializing happens at a wedding. Make your special day even more enjoyable by including a vape bar full of exotic and decadent flavors that will get your guests talking and, of course, vaping. Make sure your bar is stocked with plenty of unique flavors of all different strengths as well as spare mouthpieces and atomizers just in case a coil burns out. Your guests can simply walk up and choose an easy to use device, and then walk away with a tank full of their chosen liquid! Fortunately, the Rebel 3 starter kit comes with a high capacity tank that’s great for sharing among friends! There are several ways to set up a vape bar. The first is to use the help of a professional to make the bar flow smoothly, even for those who have never vaped before. A professional can help point people in the direction of the right devices, herbs and e-liquids for their tastes and help introduce them to the process of vaping all around. They can also help keep batteries charging and mix up some creative concoctions all their own! If you’re working on a budget or simply know that your guests are already familiar with vaping, you may opt to go with more of a DIY setup. Lay out a table with some of your favorite flavors and bowls full of spare accessories for the devices such as mesh replacement screens, mouthpieces and oven lids just in case. Then line up the chargers and let your guests enjoy it all at their own pace. This will definitely encourage more interaction among guests and get the family mingling! Bring Your Own Vape is a fun way to enjoy a vape-centric wedding with minimal work on your part. Chances are if your friends and family are down for a vapor wedding, they already have a favorite device and flavor at home. You can stock up on some of your favorite flavors for them to try, but invite them to bring their own and show off their skills! Turn your wedding into a vapor showcase full of tricks and fluffy vapor clouds that will make for great photo ops. Pulling off a great vape wedding means putting together the perfect menu for your guests! You can include a variety of dry herbs and e-liquids to give them plenty of choices. It wouldn’t be a wedding without the iconic flavors of champagne and an extravagant cake. Instead of having a traditional toast, try one with VaporFi’s Sparkling Champagne e-liquid. Then enjoy a delicious slice of Cake vape juice topped with a succulent Strawberry Celebration vape. If you love chocolate covered strawberries as a treat, you’ll love our Decadent Dip juice as well! Your guests will enjoy every second with these four incredible flavors, plus whatever other flavors you decide to add on, and the room will be filled with the scent of a delicious and traditional wedding celebration in no time. Your dry herb menu needs to exemplify the joy of vaping herbs. There are hundreds of strains to choose from if you want to include cannabis in your wedding, so you should make sure you stock up on some of the most popular products from your local dispensary. However, for those who want to enjoy a vape but can’t partake of the cannabis, you should also consider including lavender, chamomile, eucalyptus or other therapeutic herbs in the mix. That way mom and dad can enjoy vaping with the crowd, without being out of their comfort zone. You should consider including both the Orbit and the Atom in your lineup as they provide slightly different vaping experiences for people at different levels. To get the most out of your vape wedding, you may want to give your guests a few hints and tips on how to properly use their vaporizers or vape mods. For e-liquid devices, make sure they understand how and when to refill the tank to avoid dry hits. Also make sure that they are inhaling properly to get the real flavor of the e-liquid they are experimenting with. Remind them to change out mouthpieces often for sanitary reasons, and show them how to check the coils to see if they are in need of a change before they burn out. For dry herb vape weddings, this task is a little more in depth. Your guests will need to learn how to properly insert a replacement screen to keep the herb off the heating element. They will also need to learn how to properly pack the heating chamber to allow adequate airflow without weakening the nature of the vape. They may also want guidance for how to properly choose a temperature range and inhale to get the full flavor and effect of the herb they selected. Most of all, encourage your guests to start slowly and get familiar with the device they are using before they try to get crazy, and always make sure that your guests are using the devices safely. Curious what to buy the happy couple to celebrate their vapor-themed wedding? There are plenty of great options available for men and women. For instance, the Couple’s Vape Starter Kit Bundle is a perfect his and hers gift for any wedding. And you can always create your very own bundle by selecting matching devices in his and hers colors, and then choose a custom selection of e-juices and accessories to go along with it! 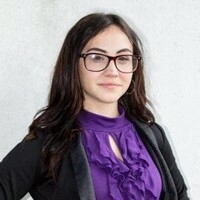 Gianna Del Monte is the Brand Manager at VaporFi. She has been in the vaping industry since June 2015 and has extensive experience in successfully managing and marketing a variety of new vapor product launches. Originally from New Jersey, Gianna has lived in the Miami area for the last 5 years. Sign Up for Vape (E)mail & Save! Coming At Ya Soon: Black Friday & Cyber Monday Deals! Happy Valentines Day + Some News!